The phrase is one coined by Vivian Stanshall, poet, jazzist, artist and film-maker. It's buried in the script for 'Sir Henry at Rawlinson End': the fine film featuring Trevor Howard and Stanshall himself - although the first incarnation was on Radio 1 in the U.K. on the late-lamented John Peel's BBC Radio 1 programme 'Top Gear' in the 1970s. 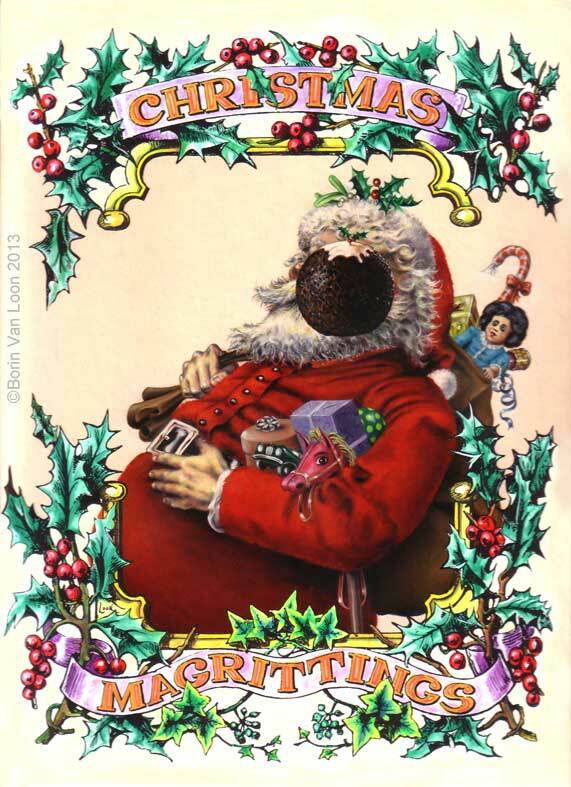 The floating plum pudding suitably obscures the traditional Santa's face in the way of Rene Magritte's paintings. (See another homage to this here.) 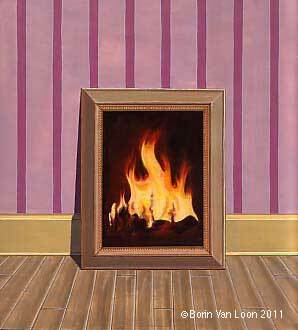 It is said that the young Magritte's mother drowned and was found with her nightdress over her face. This nightmarish image recurrs in many paintings including the men with the bowler hats and the couple embracing, both their faces covered in cloth. Here is another nod to the old boy. Clearly inspired by Magritte's painting of wedge of brie in a little gold frame, which he placed under a real glass covered cheese dish. Originally this painting had a cel overlay with a fifties wire fireguard enclosing the framed painting. 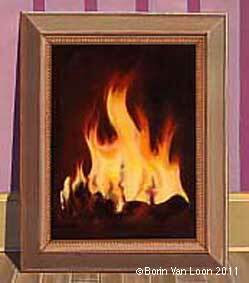 However, this made the image impossible to read (it just looked like a fireplace), so it was removed.